Are you tired of using chemical based products to treat acne? Have you been waiting for a natural ingredient that can cure your acne in the most effective way? Then there is some good news for you! You finally have what you want, and it is neem! Neem is an exceptional remedy for acne. It is a very powerful anti-bacterial solution that offers freedom from acne marks too. Some people also relate its bitter taste with its effectiveness. However, it is the amazing anti-bacterial attribute of neem that makes it so effective against acne and acne marks. Want to know more about how neem can cure your acne? Then sit back and read this post! Acne has traditionally been related to oily skin, though dry skin is equally prone to acne. Neem is a wonder wand that puts an end to acne caused due to excessive oil. Trapped oil in pores is the major concern that leads to pimples on oily skin. Oily skin produces an unbelievable amount of oil every hour. This leads to such an outbreak which is very difficult to be contained. Neem makes a wonderfully unique oil regulating mechanism that keeps the skin pores oil and sebum free. Neem comes as an acne defense mechanism for oily skin, as it can regulate oil formation for up to 5 hours of its application. Neem is an oil regulator. However, it is also an anti-bacterial agent that can make skin moist and smooth. Neem is very helpful in restoring the normal pH level of the skin by making it moist. So, neem makes an amazing acne controlling agent for dry skin too. It is considered almost impossible to treat teenage acne and acne marks without cosmetic treatments. Such treatments are very expensive, and they also involve long-term risks. However, neem is a unique solution that can put an end to teenage acne as well. Neem is not just an ultimate acne killer; it is also a powerful healer. It heals the acne hit skin that has suffered from numerable issues since teenage. It treats issues like too oiliness or dryness of the skin, red rashes due to permanent inflammation and painful big acne lumps. Neem is an anti-inflammatory agent that reduces redness and rashes with gradual use. It offers freedom from pain as well. Do acne marks haunt you long after the outbreak? Then you have neem to the rescue! Neem is not just an acne and inflammation healer; it is also a powerful acne mark remover. Make relevant face packs with neem to attain a flawless complexion that shows no hints and traces of a past acne outbreak on your skin. This amazing natural face mask is the ultimate acne killer for all skin types. Boil neem leaves in water and filter the water from leaves, once it cools down. Mix sandalwood in neem water to form a thin paste. Apply on face and neck and leave to dry for 15 minutes. You gain a flawless, glowing skin with this amazing anti-acne face pack. It cleans all acne marks with constant use. You get a fairer skin that is up to two tones lighter. It also adds a hint of pinkish tint to your cheeks. This is a two-in-one face pack. It is the ultimate acne killer for oily skin and is also a fairness face pack. How To Make It? Grind neem leaves to make a thick paste. You can add rose water to even out the consistency of the paste. Grind saffron to form powder. Add saffron powder to neem paste and mix well. Apply on the face carefully. This amazing face pack is the ultimate fairness face pack that is also an acne killer for oily skin. Neem regulates oil and also keeps the pores clean and free from oil and dirt. Saffron increases the efficacy of neem in making the acne marks and other skin blemishes lighter. It makes your skin radiant by making it free of freckles, blemishes, acne and even pigmentation. Be very careful of using this homemade neem face pack for acne, as it is exclusive to dry skin. Do not use it for oily/sensitive skin. How To Make It? Grind neem leaves and make a paste. Add a few drops of almond oil to the paste and mix until it blends in the mixture as one. Apply carefully on the affected acne prone area. Leave it on for 30 minutes and wash with tap water. It kills the acne causing bacteria and offers freedom from acne. Almond oil increases the efficacy of neem in reducing the acne marks. Almond oil, rich in Vitamin E, also ensures that the fresh acne that this mask cleans do not leave marks behind. This wonderful exfoliating neem pack for acne is suitable for all skin types, except sensitive skin. How To Make It? Boil oats and mash them to form a paste. Boil neem leaves in water and filter the water once it cools down. Mix the mashed oats in neem water to form a paste. Apply on face and neck and leave to dry for 20 minutes. Scrub by making it wet for the next 5 minutes. Oat particles offer deep exfoliation and remove dead skin, blackheads and whiteheads alongside oil and dirt. Neem ensures that skin is not inflamed with the gentle exfoliation provided by oats. 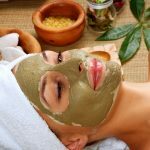 While neem is a natural ingredient and causes no side effects, it is important to remember certain facts about it to be safe: Be careful and don’t over-apply any neem face mask. 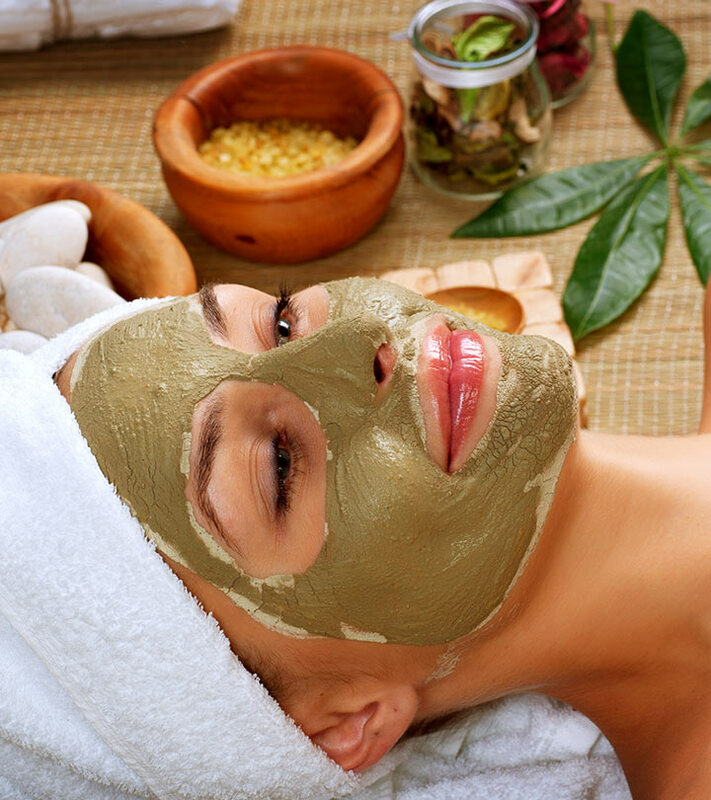 No matter how natural the face mask is, over application of neem can make the skin dry. Dry skin will result in more acne issues. Do not apply any face mask without a doctor’s consent, if you suffer from skin conditions like Xeroderma. Such skin conditions make the skin abnormally dry. Remember, neem can curb natural dryness. But, it is safe to only use a medicated procedure for such skin disorders. Otherwise, increased dryness will worsen acne and pose other threats too. Neem makes an exceptional natural way of helping one get rid of skin acne. No matter what skin type you have, you can always rely on neem when hit by acne and acne marks. Which neem face pack is your personal favorite? Do you like sticking to cosmetic neem products instead of the natural homemade ones? Why? Share with us in the comments section below! Is Neem Oil Helpful To Treat Scabies?